Basic intro to the ideas of copyright in terms of publication and faculty research. Making your research openly available and accessible to others rather than behind paid subscription walls. But how will you know what you can do without a basic understanding of copyright. You just published an article in Nature and want to post a copy of the article from the journal on your personal web site. Are you allowed to do this? 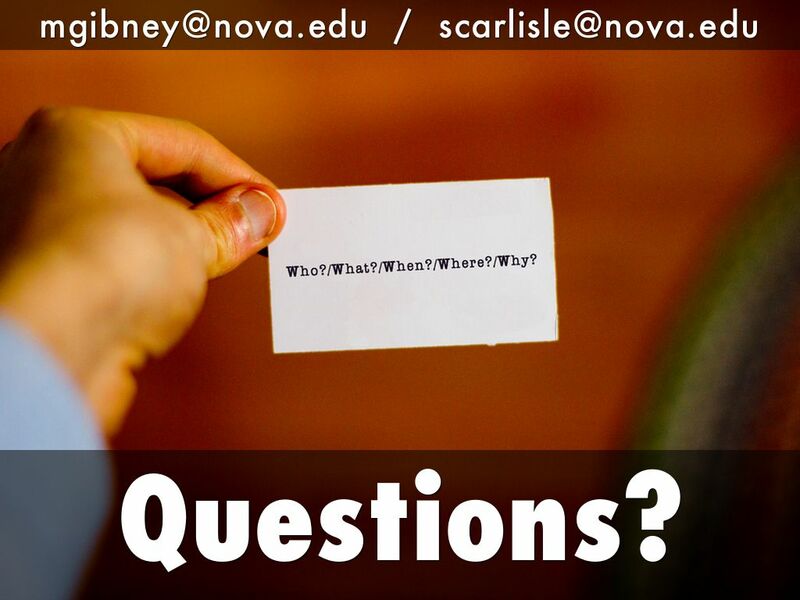 You published a book with Wiley, and you want to scan it in and add it to your class web site. Can you? If you signed your right away, you no longer have the right to do this and it is now your publisher’s exclusive right to these actions. Do you want to have these rights, or do you want to give it away? These are all reasons you should care and pay attention to your rights as an author as you publish your research in various locations. 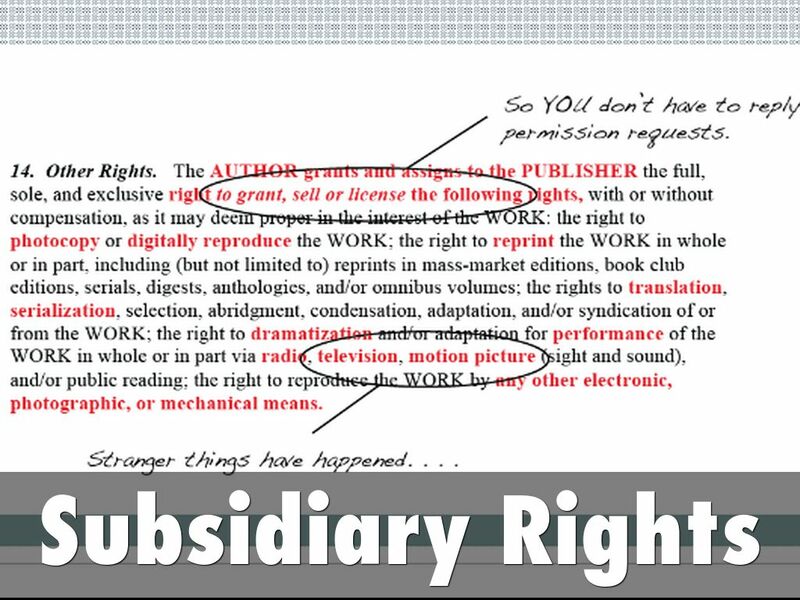 It is very common in scholarly book contracts for copyright to be granted/transferred to the publisher. For articles and book chapters, it is not as common. 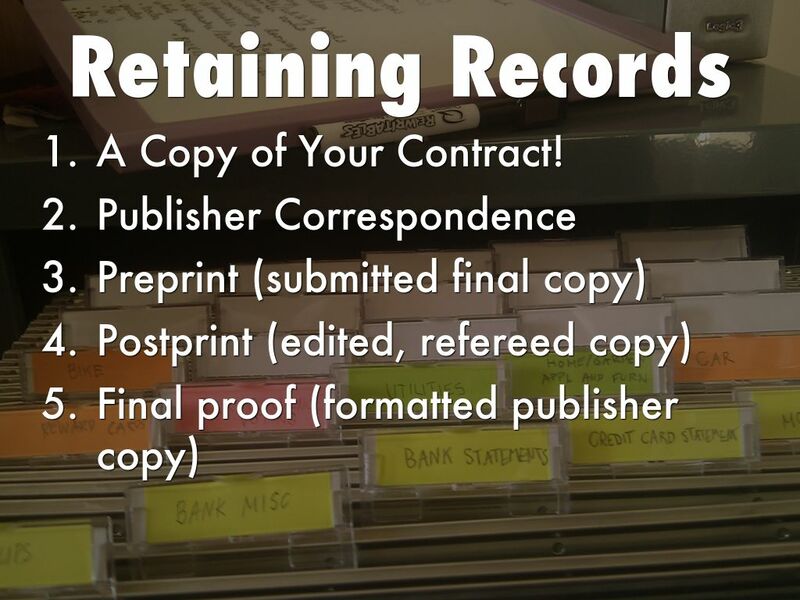 If your copyright is transferred to your publisher, all is not lost; there are often good reasons to do this. And if you “retain” copyright, you may or may not be retaining secondary rights that allow you to do anything with it. The right to publish is one of many rights included within copyright. 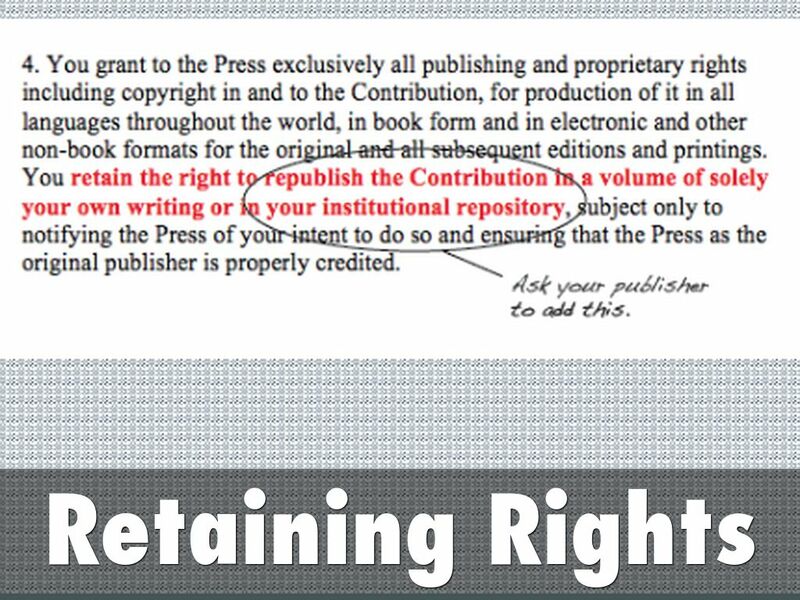 Granting this right gives your publisher your clear permission to publish your work, even in cases where copyright is registered in your name. Often, the contract will grant the publisher exclusive rights to publish. Sometimes, this grant is non-exclusive, meaning you are free to grant the same (non-exclusive) publishing rights to other publication venues, as well. As a corollary of publishing rights, the contract will often grant the publisher the exclusive right to sell the work. That is, to protect the publisher’s investment in the work, the contract may disallow you from engaging others to sell the work, too, unless they have your publisher’s permission. For example, it might be a violation for you to sell copies of a PDF through your personal website, or to engage the local copyshop to print the work for sale to your students or family. Permission must be obtained from your publisher, because you have granted them the exclusive right to publish and sell the work. The contract often will also address other rights, called subsidiary rights. These might include rights to grant permission for others to use the work (as in reprints by other publishers, coursepacks, e-reserve, online “custom publications”), or the right to license translations or derivative works based on the publication. Especially when your work is in a literary or other artistic genre, these might include performance rights, dramatization rights, serial rights, musical adaptations, even theme park rights. 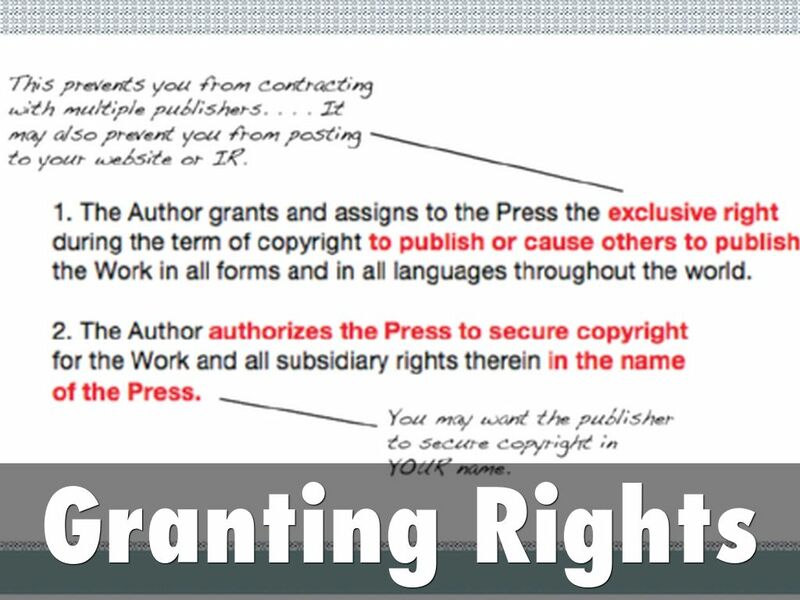 With your grant of these rights, your publisher becomes your licensing agent, and they will handle correspondence, billing and collections, and income related to licensing these rights. 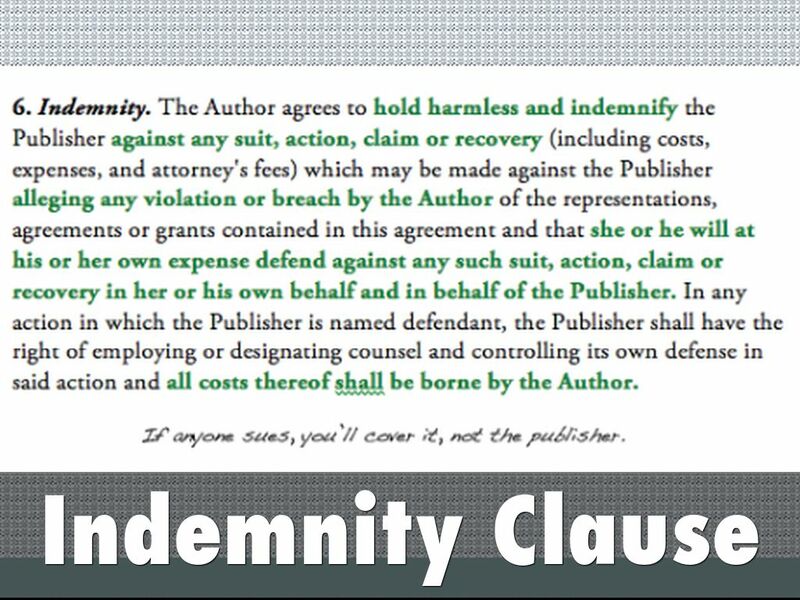 In another clause, the contract will stipulate how any related income will be divided between you and your publisher. Normally, the contract will ask you to warrant that you are the true “sole and original” creator of the work. In case of a future dispute over rights, this shows that your publisher acted in a good-faith belief that you were the author/creator—because you warranted it was so. This is different from authorship, because sometimes ownership of a work is not held by the person who created it. A common example is a work made for hire, in which the author is only an employee or contractor of the copyright owner. Ownership likewise might have been sold, bequeathed, granted, or otherwise transferred to someone beside the creator—like another publisher. Warranting ownership again indicates to your publisher that they are contracting in good faith. 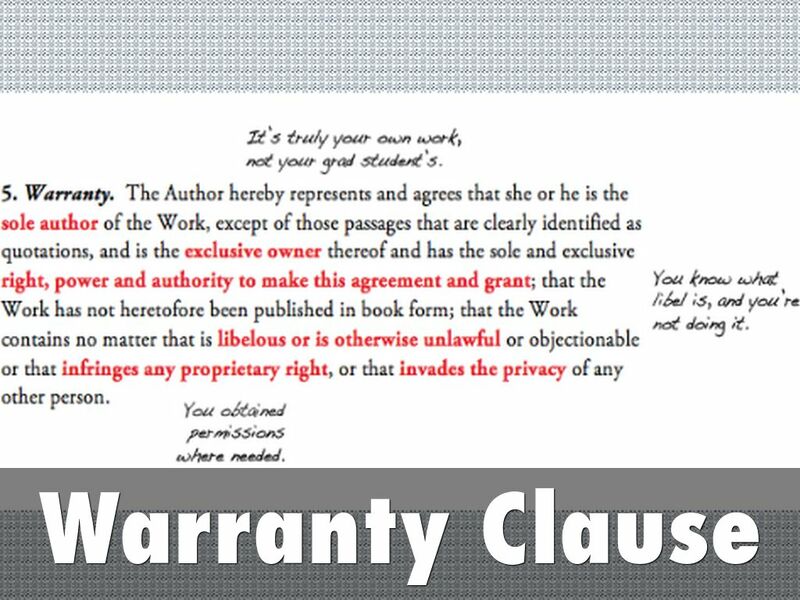 By warranting that you have the authority and power to make the agreement (to grant the rights you are granting in the contract), you are assuring your publisher that the work is not bound by legal constraints—as it would be if there were a lien on it, or if it were currently the subject of a legal dispute, like an inheritance or divorce. Many scholarly and some creative publications include or embed work that was created by someone else (including students). 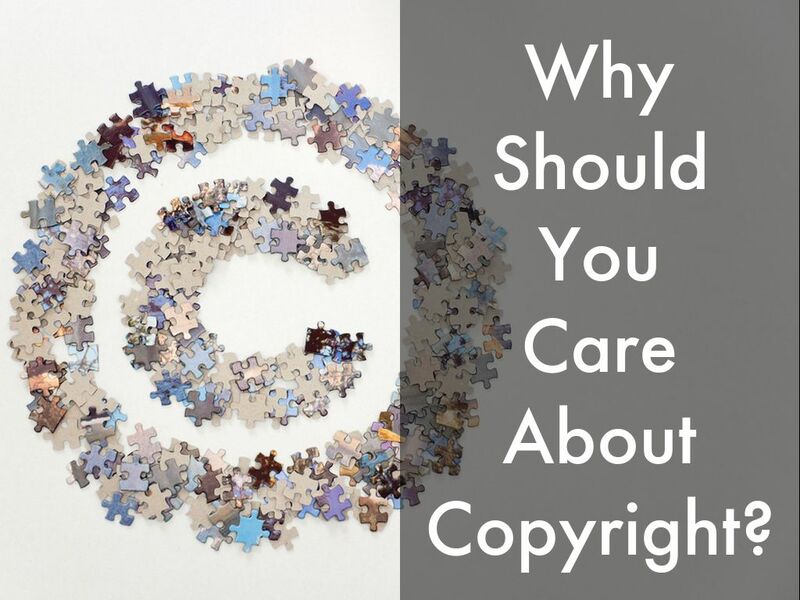 By warranting that you have permission to use the embedded work, you are assuring your publisher that you have cleared permissions with whoever controls the rights to reprint, or that you have not exceeded the bounds of fair use under the Copyright Act. Normally, you will need to provide originals or copies of written permissions during the editorial process. Often, the contract will include your formal warrant that your work contains nothing libelous or unlawful, that it does not infringe any rights belonging to others, and is not an invasion of privacy. Exposure to a libel suit is one of the greater risks in publishing, so, in this clause, your publisher is asking for your formal warrant that what you have presented in the work as fact about other individuals or entities is indeed factual and documentable, and that where you are expressing opinions that might be objectionable, those are clearly represented as opinions. Here you agree to take full legal responsibility for the content of the work. You agree that, should a legal action be filed, you will indemnify your publisher against negative judgments. Language to look for: “agrees to defend, indemnify, and hold harmless the publisher against all claims, demands, suits, losses, damages, costs, and expenses incurred by reason of” etc. What rights are you retaining? 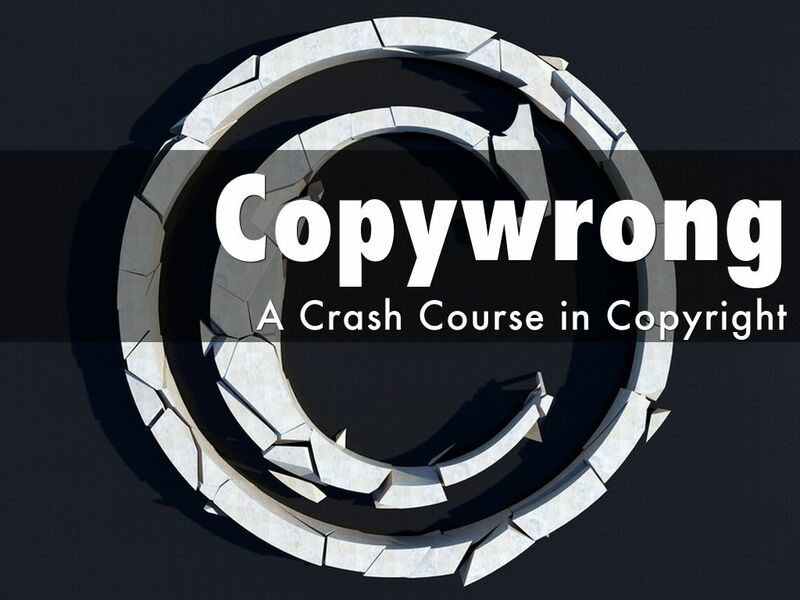 In some contracts—often in contracts on creative work—the author is said to retain copyright. This is achieved by registering copyright in the author’s name instead of the publisher’s, and it can be arranged by mutual consent in any publication contract. However, it is important not to over-interpret what this retains. Copyright is essentially a cover term for a bundle of specific rights (publishing, licensing, selling, etc.). Without an exclusive transfer of most of those specific rights, the publisher will have little incentive to publish the work. But if those rights are transferred, then registering the copyright in the author’s name becomes a mere courtesy, and actually retains little power over the work for the author. Sometimes, the contract will retain republication rights for the author. This is often the case, for example, when the work is a short contribution included along with contributions by other authors/creators—an article, a poem, a photo, a chapter in a book. In these cases, you will not need formal permission from your publisher to submit the work for publication elsewhere in the future. With this right often comes the contractual duty to acknowledge your original publisher and copyright date in any republication. Language to look for: “Author retains the right to republish . . . subject only to” etc. Normally, a publisher will not agree to publish your work if you intend to release a competitive or derivative piece based on the same research, or an abridgement of the work. This is called “protection of the work,” because the second publication may reduce demand for the first. However, occasionally, the contract will also allow this. Language to look for: “Author retains the right to publish a work of similar character . . . subject only to” etc. Newer publishing contracts increasingly are written to accommodate the need of academic authors to deposit their work with their local IR. Publishers sometimes see this as a risk to the work, especially where institutions have mutual access agreements with other institutions, or general open access policies. If language allowing this is not included in the contract, it is often possible to get the publisher to insert it or to include an addendum allowing deposit in the IR. Language to look for: “author retains the right to deposit an electronic copy of the work in her/his institutional repository,” etc. 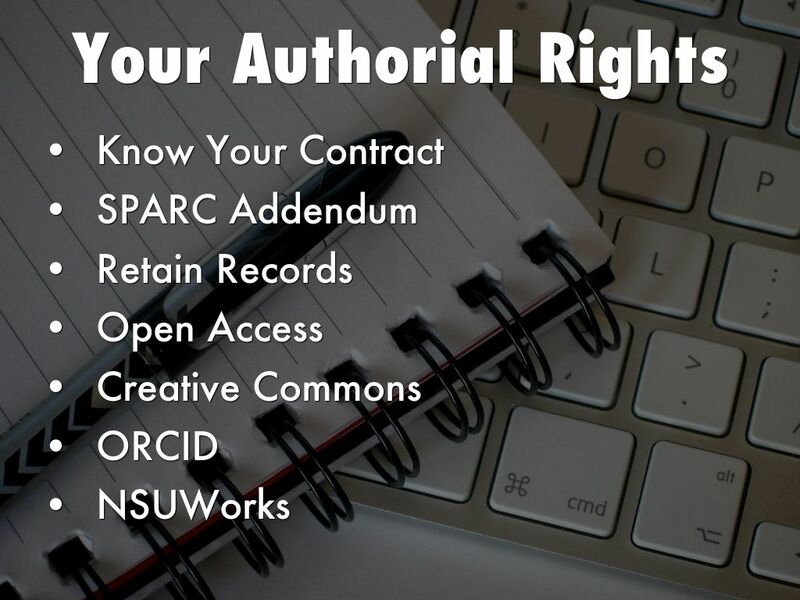 The SPARC (Scholarly Publishing and Academic Resources Coalition) author addendum modifies the publisher’s agreement you receive when publishing. It empowers authors to retain specific rights with their work. It is easy to use, fill out the form online, print it and attach to your publishers agreement. Be sure to note you have done this in your cover letter to your publisher. A Copy of Your Contract! Preprint, postprint and final proof are versions of an article and a publisher may allow some and not others on an institutional repository. 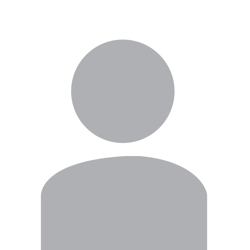 This information can be generally found on Sherpa/ROMEO, the publisher's site, or in your contract. You want to keep your contract because it is the end all be all for all future use of the work. Without it you cannot argue anything with the publisher. 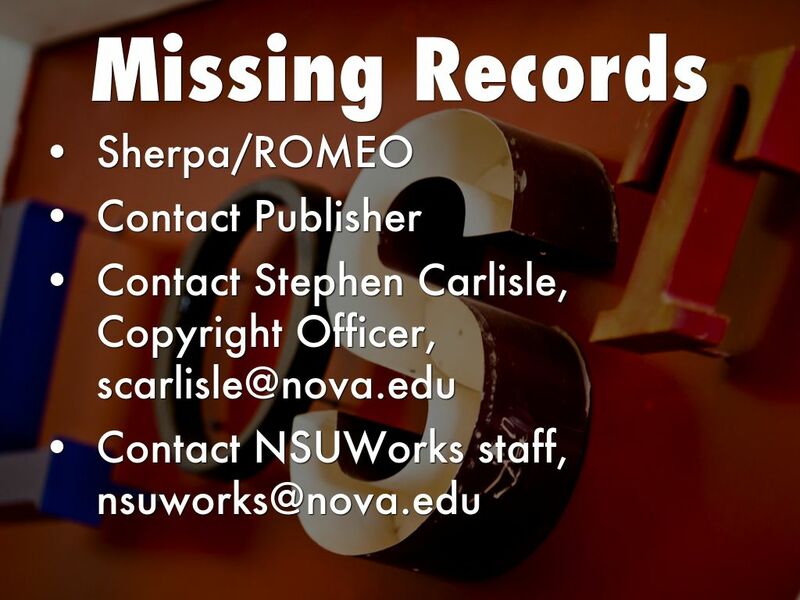 But if you do lose any of the materials listed on the previous slide, you can try to recreate records by looking up publisher policies on Sherpa/ROMEO, the publisher's site, contacting the publisher directly, or contacting members of the Alvin Sherman Library for assistance such as Stephen Carlisle, the Copyright Officer or members of the NSUWorks staff such as myself. 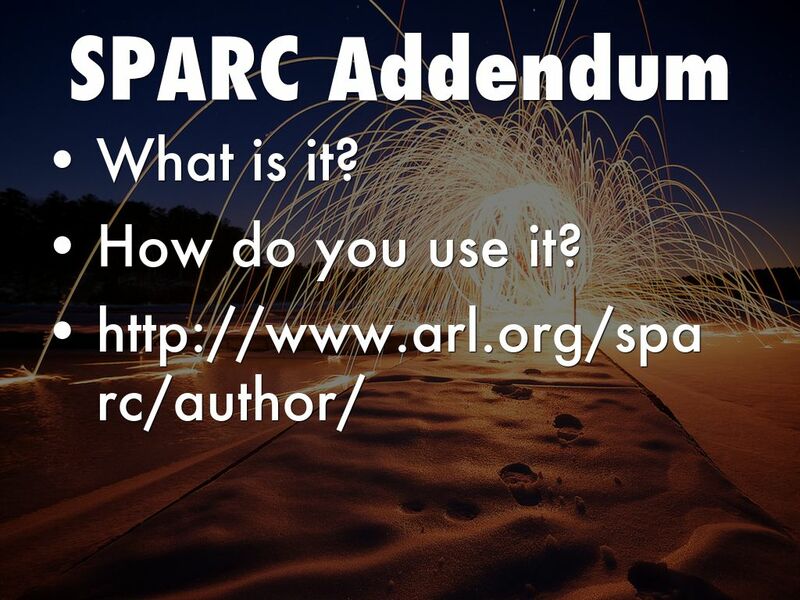 SPARC supports that definition of open access. Open access materials are shown to be cited faster and more frequently allowing scholarship forward. For author rights it is important to know the licenses you are assigning to your works and how they are being distributed. From Norris, Oppenheim, Rowland, 2008: From sample of 4,633 articles 2,280 or 49% were OA with a mean citation count of 9.04; the rest, 2,353 or 51% required a fee with a mean citation count of 5.76. This varies among disciplines though. From Davis et al., 2008: In the first six months after publication, OA articles had 89% more full-text downloads than subscription articles. 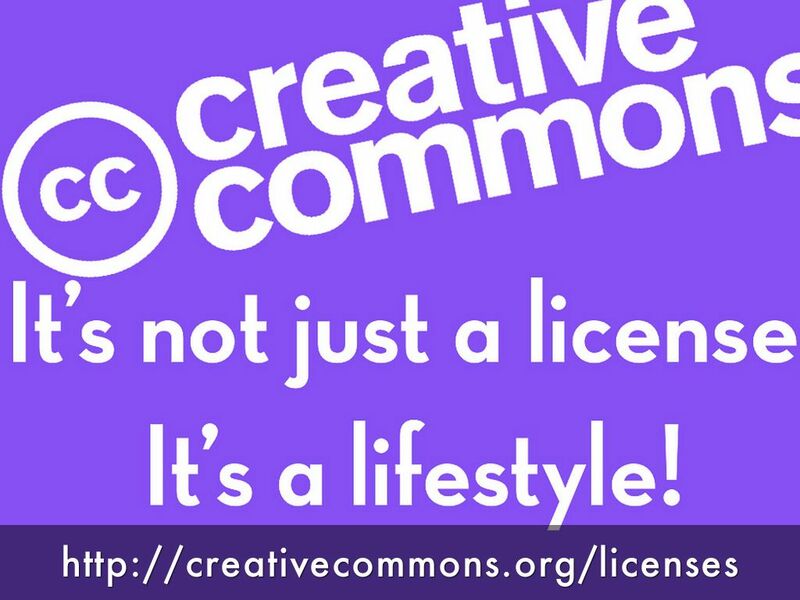 Creative Commons is an organization built with the help of copyright attorneys that provides an alternative copyright license that allows a creator to choose how the work can be distributed, remixed, tweaked, and built upon (even for commercial work). It can be used on just about anything: posters, PP presentations, web pages, etc. 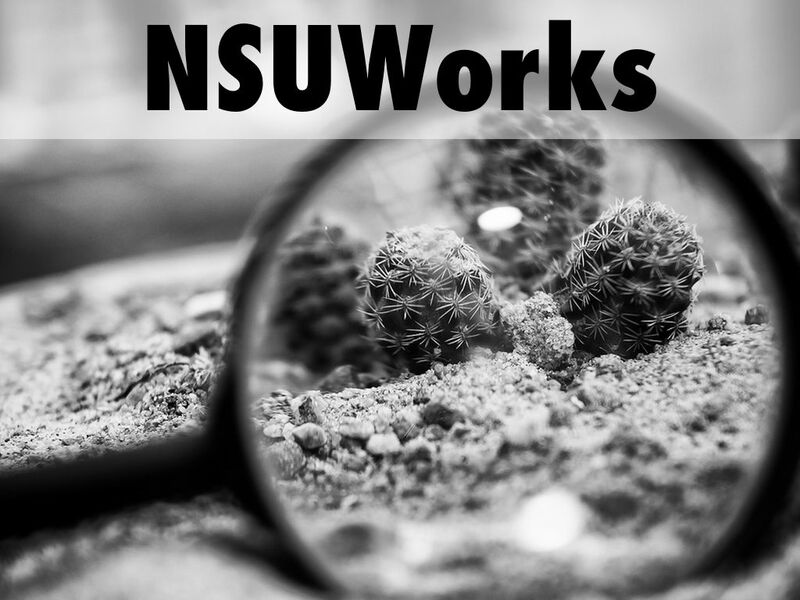 These can be included on any work published in NSUWorks. They cannot be removed from a work according to the Creative Commons team once they have been applied. This has never been brought up in court, but it is good to note before applying them to your work. 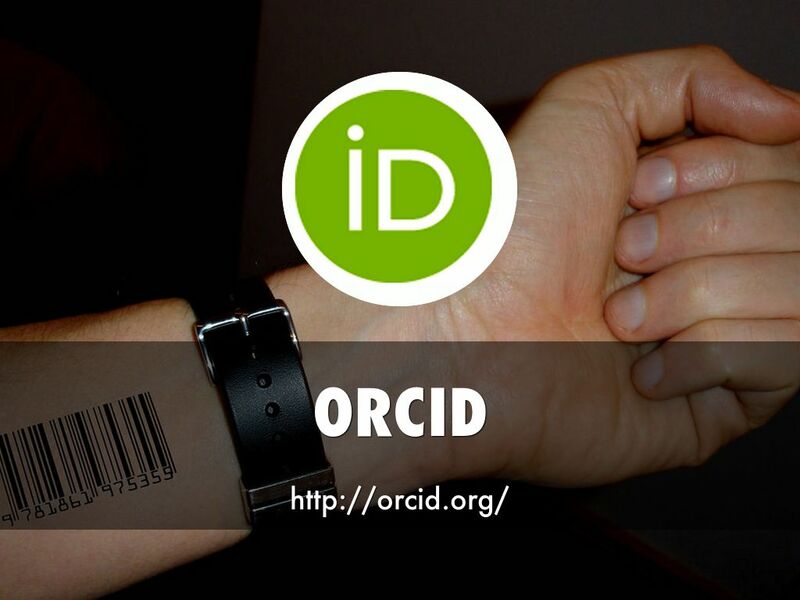 ORCID is a researcher profile id number which creates disambiguation of authors and allows for all scholarship by a particular individual to be conclusively linked to that author's ID number. 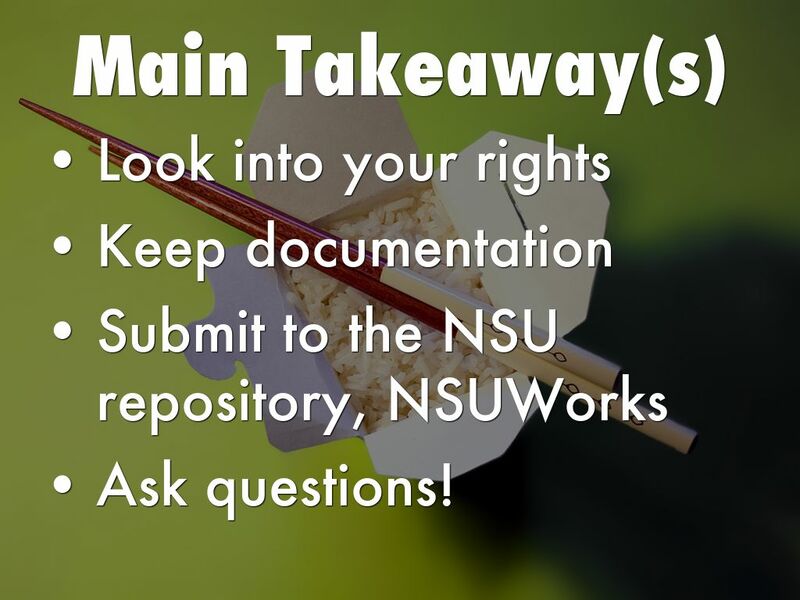 It's easy to sign up for and can be included in a NSUWorks record as well to make sure the work is cited properly at all times. Showcase the website and what it contains.